Hi MJ lovers! 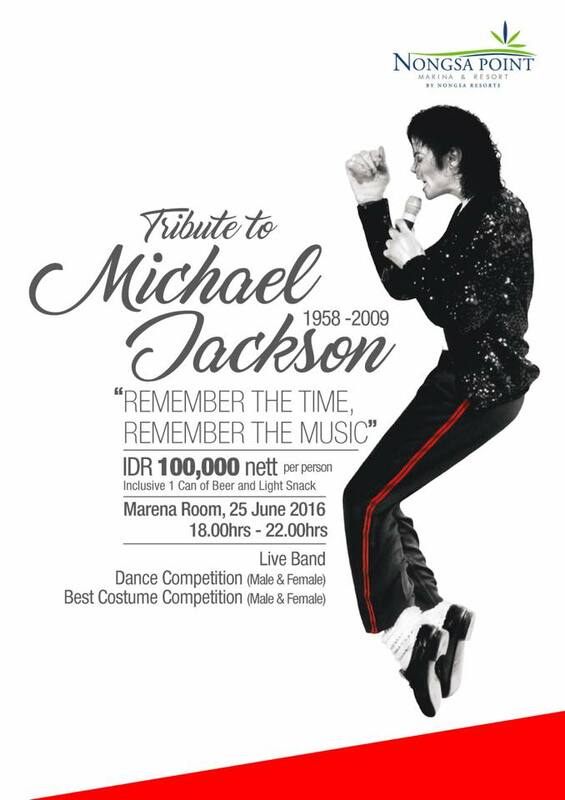 Join us on "Tribute to Michael Jackson" at Marena Room, Nongsa Point Marina & Resort! Prepare yourself for the dance competition and best costume!